CPE Monitor has been changing the world of continuing pharmacy education since its initial rollout in 2011. It has proved to be an effective tool for CPE providers and learners to efficiently and accurately track CPE credits. Since this is such an essential component in CPE, we’ve decided to provide a brief exploration of what this service is and how your organization can take advantage of the opportunities it provides. What is The CPE Monitor Service? CPE Monitor was created through the collaborative effort of the Accreditation Council for Pharmacy Education (ACPE) and the National Association of Boards of Pharmacy (NABP). As the ACPE explains, CPE Monitor authenticates and stores data for completed CPE credits earned by pharmacists and pharmacy technicians from ACPE-accredited providers. This service effectively streamlines the process of reporting and tracking CPE credits. This streamlined process benefits everyone involved in CPE, as it ensures accuracy, administrative efficiency, and provides a centralized source for information about CPE providers and learners. CPE Monitor is an ingenious and innovative service that opens up new possibilities for your organization. However, in order to make the most of this innovation, it’s important to work with a learning management system that automatically reports credits to the CPE Monitor Service. Administrators: Administrators do not need to manually track and report CPE credits when your LMS automatically takes care of those tasks. Administrators are therefore freed up to address other pertinent issues that demand their time and attention. Directors: Compliance is a major concern for directors, as sufficient compliance with the ACPE is necessary in order to maintain accreditation. With an advanced LMS, directors can rest assured that their organization is complying with industry standards regarding CPE credit tracking and reporting. Learners: Swift and accurate credit reporting is indispensable for pharmacists and pharmacy technicians. Their careers depend on receiving proper credit for their educational achievements. When your organization works with an LMS which automatically reports earned credits to the ACPE, your learners will know they will receive the proper recognition for the CPE courses they complete. If you would like to work with an LMS that benefits administrators, directors, and learners, then consider EthosCE. 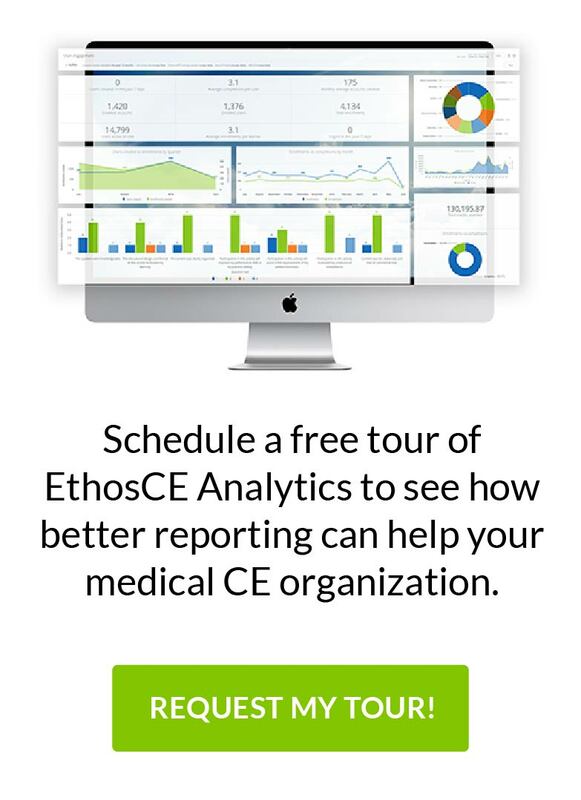 EthosCE not only tracks and reports CPE credits to CPE Monitor, but offers all of the necessary tools and support your organization needs to provide excellent continuing education. 2013 Medbiquitous Conference Webcasts Now Available! ASAE Annual Meeting Continues To Be A Success!